MANILA, Philippines - Since it’s the month of hearts, many brands are poised to feel the love by turning Valentine’s day into a sweet opportunity. McDonald’s Valentine’s month offering has inspired a single lady to write a hugot-filled post. In order to create a long-lasting relationship with their consumers, brands have found unique ways to stand out in a sea of romantic-themed campaigns. Take for instance the fast food giant, McDonald’s. 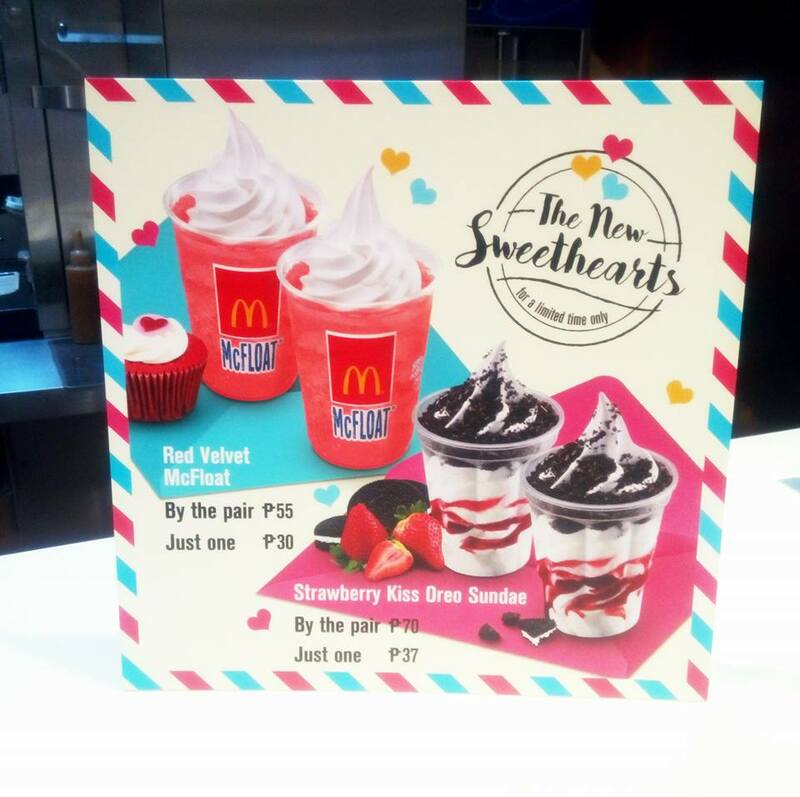 Known for coming up with products fit for every occasion, the popular fast food chain is currently offering love-inspired desserts called “The New Sweethearts”. With this promo, sweethearts get to enjoy a pair of Red Velvet McFloat for only P55, while singles need to shell out P30. On other hand, a pair of Strawberry Kiss Oreo Sundae would cost P70 and a single order of it is P37. McDonald’s promo favoring sweethearts has apparently inspired a single lady named Giselle Dela Cruz to write a hugot-filled post. The 22-year-old self-proclaimed NBSB (no boyfriend since birth) came up with the humorous post on her Facebook account last February 6 after seeing the limited edition dessert advertisement at McDonald’s in Glorietta. Check out her hilarious hugot.